I host this site myself and have written a number of custom scripts to automate various tasks. More info here. I built a photobooth. More info here. One back burner programming project is a visual neural computation sandbox. 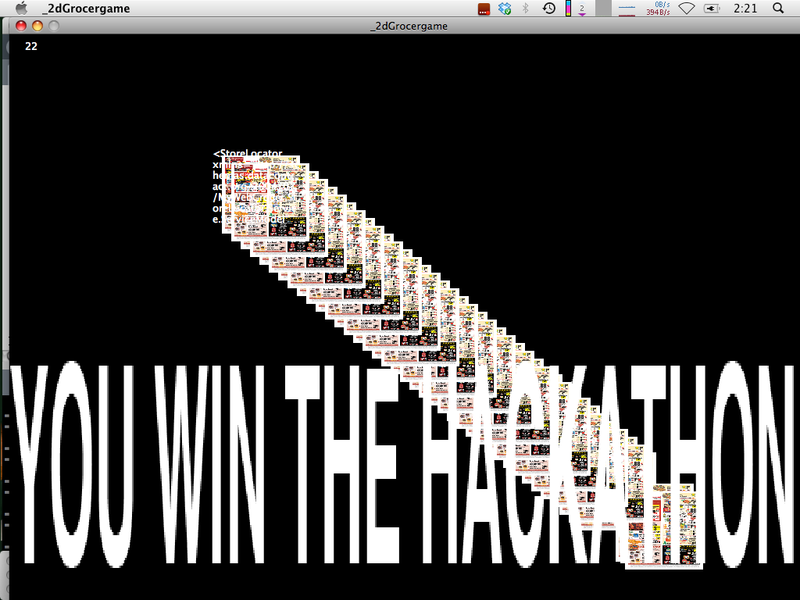 I made a game at the My Web Grocer Hackathon, fall 2011. Download here. The export app function didn't work so I only have the source. Download Processing to run it. TO PLAY: You are the chunk of of xml code. WASD to move, P to shoot. Press N to spawn spinach. The arrow keys rotate the shape around the x and y axis. I toggles information overlay. Best used in conjunction with normals on. N toggles the rendering of each face's normal. Q increases the stellation amount. A decreases the stellation amount. In school I also built an augmented reality sculpture program from an augmented reality library. There was some coding involved in my work with UVMtv. Scripting the video server mainly. More info here.